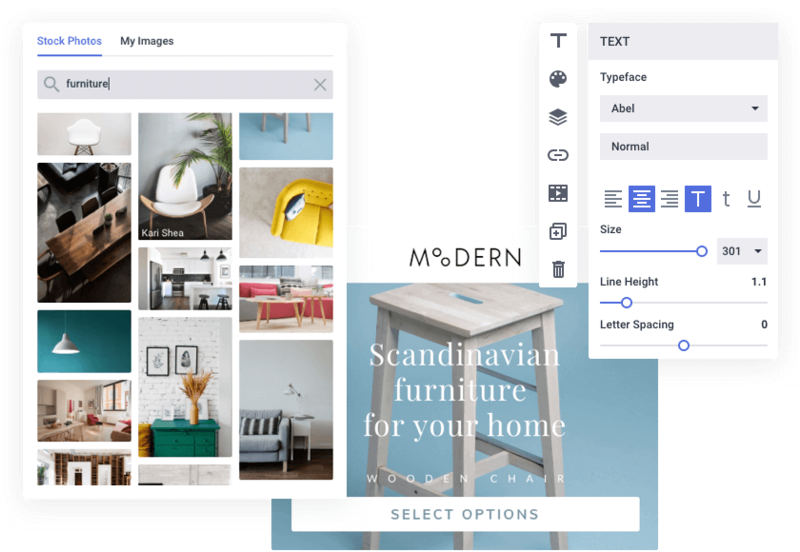 Bannersnack is an all-in-one graphic design app that provides all the features you need to create beautiful visual marketing materials in minutes. Easily design ads to promote your business, increase brand popularity and sell more. 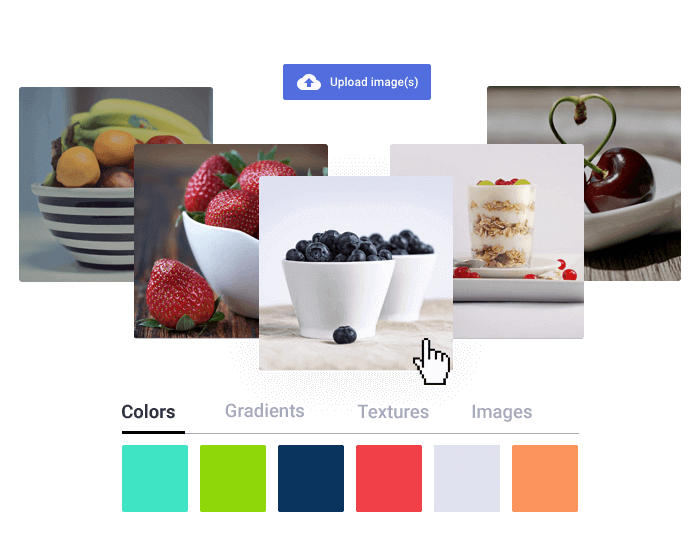 This revolutionary online graphic design tool allows anyone, from marketing people to professional designers, to easily design high-quality visual marketing materials. No design course or skills needed! Thanks to its intuitive and easy-to-use editor, Bannersnack can quickly be picked up on, navigated and mastered in a matter of minutes. All this in a friendly and clean workspace that comes with a helpful Timeline multi-layer view. With 100.000+ free professional stock photos, thousands of ready-made, customizable templates, clip-arts, textures, popular fonts, stylish typography presets and the amazing Magic Animator tool, Bannersnack makes it easy for you to create impressive marketing materials. Design static creative visuals, animated ads or interactive rich media ads to promote your business online or offline. Bannersnack Team allows multiple users to collaborate on design projects. Team members can easily access each other’s works in their specific project Workspace and add feedback or make changes, speeding up the entire team’s design workflow. Explore our Team plan to improve teamwork and decrease delivery timings with collaborative design, shared assets, and progress status labels. Start with one of our templates and customize it to match your brand guidelines. Design banners, Social Media posters, animations, infographics, brochures, anything that you can think of...in minutes. 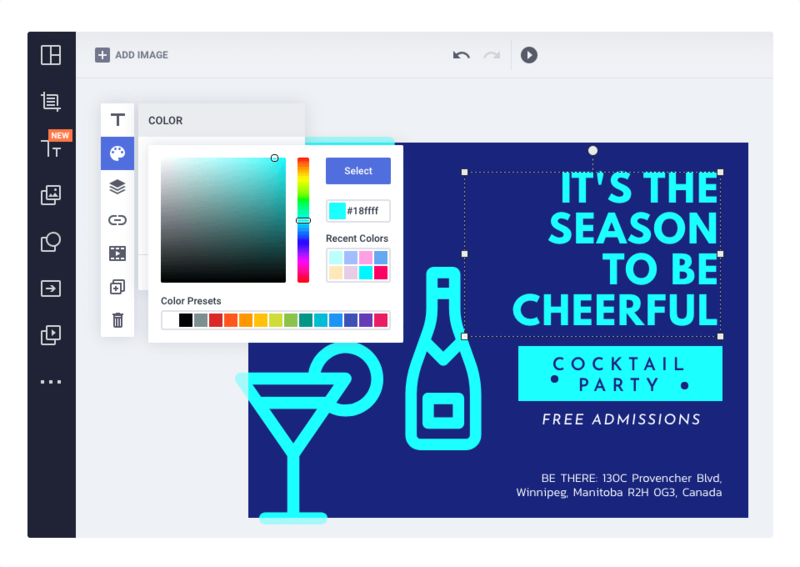 Our intuitive graphic design app takes the burden off your shoulders, proving you with all the features and support you need to create high-quality promotional visual materials. Boost your brand's popularity and sales with a display advertising campaign. Create static, animated or interactive rich media ads to drive traffic to your website and engage people with your brand. Choose standard formats, popular sizes or custom your own. Keep up with the online world's most vibrant Social Media platforms. Bannersnack provides you with a full set of Social Media preset size formats, thousands of customizable templates and assets to creatively design your layouts. Whether you own a blog or a multiple user website, Bannersnack can help you keep your page up-to-date. Create headers or banners starting from our templates, using our free stock photos, fonts, typography presets, and clip-arts. Easy website banner design. Develop consistent campaigns across multiple media. Cover both the online and the offline with high-quality marketing materials. Effortlessly transition your creative visuals to printables like flyers, posters or brochures. Organize your elements with a simple drag-and-drop. Drag, place, and drop. Adjust the size or position as you like. No need to download or install a soft. Work online, store and share your files online. Use vector clip-arts to spice up your design. We store 500+ modern and customizable icons and shapes. Upload your brand's fonts or families of fonts and use them in your designs to keep branding unitary. 100.000+ of free professional stock photos covering all industries and interests. Store your files, design elements, fonts and brand assets in Bannersnack and access them from any desktop device. Using SVG files in your designs is possible with Bannersnack. Simply upload your SVG files and integrate them into your animated banners. Keep a clear, clutter-free picture of your projects at all times. Stock your design elements in your Library and quickly find what you're looking for. Our smart Magic Animator tool makes animating an ad a one-click job. Code-free. Hassle-free.